I try to aim for filling out the histogram. However, it is very important to emphasize that this is not a necessity to make good photos; it just so happens that it works in most cases, but of course, every photo needs individual care. This tip works especially well with flat photos. 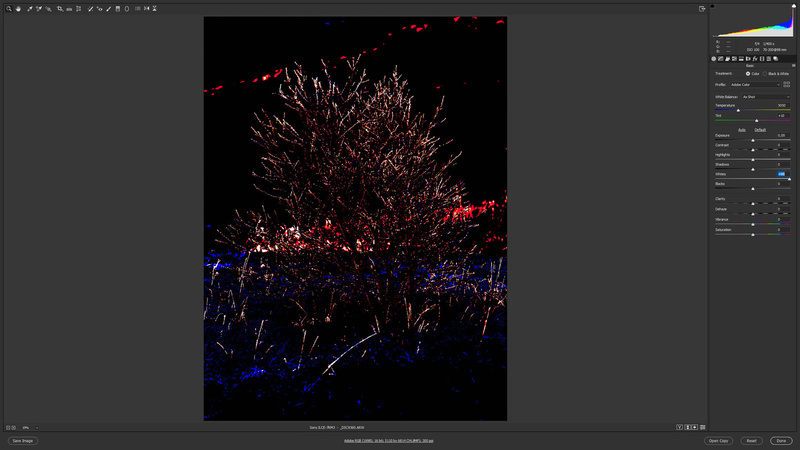 High-contrast photos with one bright light source needs a bit more care. The thing a flat photo lacks is contrast, and the histogram in your editing program reveals if your photo is flat or not. If the main information is clustered together, it is flat. 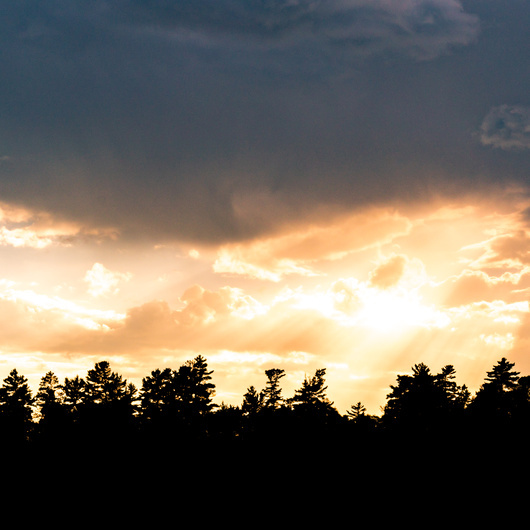 The idea is to use the entire histogram to add contrast and life to your photo. 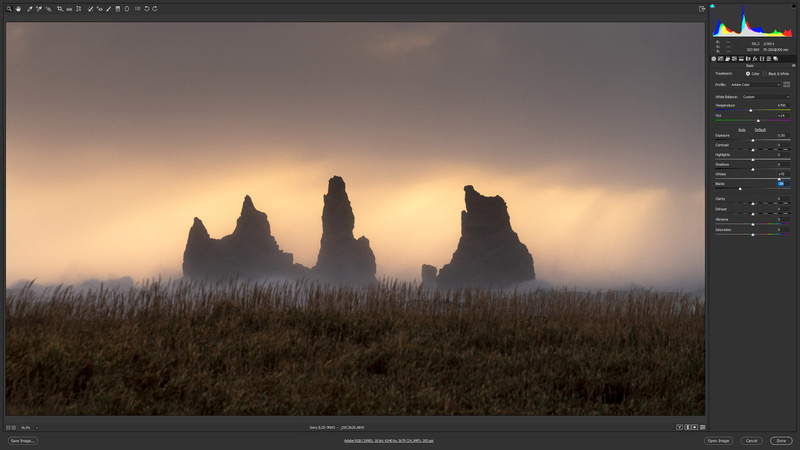 I most often start adding contrast to a photo by using the whites slider. This slider brightens up the brightest parts of your photo first. You can see in the example below how I only move the white slider and how the information in the histogram moves to the right. The idea about the white point and black point is to have a point which is 100 percent white and one which is 100 percent black. In this way, you ensure you use the entire spectrum of luminosity. You can also see we have a little wiggle room on the left side, so in this particular case, we can add some blacks too. By moving the black slider, we darken the dark parts of the photo. Here is another example where I only moved the white slider. Holding down Alt (PC) or Option (Mac) while sliding reveals when the different values start clipping, which is something you want to avoid. Check out the example below where I overexpose the tree. In scenes with high contrast, such as the example below where the mountains are lit by the rising sun, we overexpose the highlights fast by using the white slider. I normally take care of the highlights first by adjusting them to the desired look and then, work my shadows. By making a simple graduated filter for the foreground of the photo where I only adjust the white slider, I bring out the bright parts of the foreground without affecting the darker parts as much, effectively adding contrast and life to the foreground. The problem about using the “shadows slider” is you raise both the dark and bright values of what the editing program interprets as shadows, which simply just brightens the flatness instead of getting rid of it. In the example below, you can see the difference between making the graduated white slider filter and globally raising the shadows. Making sure to have a white and black point really makes your photos pop. However, as with all other techniques and tools, they are not universal rules. 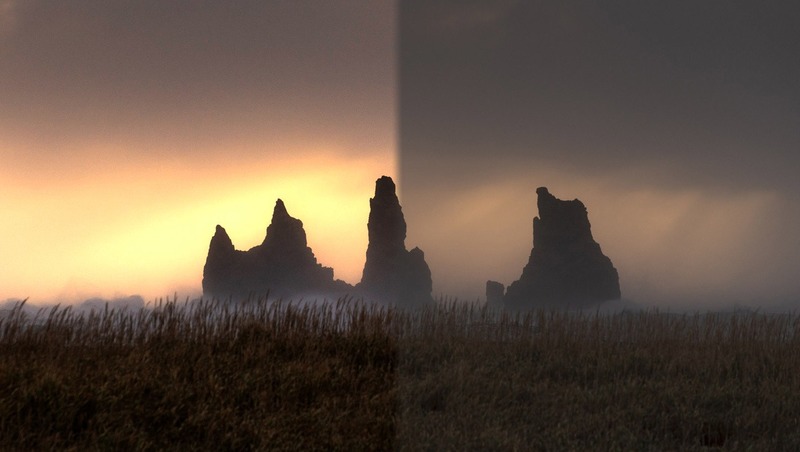 As an example, if your photo is a low-contrast scene full of fog, having a white and black point might add too much contrast for the photo to work. Be sure to use your critical faculties while editing and only do what makes sense. An alternative to using the alt/option + whites/blacks is to Shift + double click them. It doesn’t always give you the best result but I’ve found that in general, it’s faster since it automatically sets your white/black points. 1) Drag one graduated filter up for dodging and the other for burning. Set your whites/highlights for dodging the brighter areas, then use the range mask to pull the effect off of the darkest areas. 2) Do the opposite for burning: drag another graduated filter, adjust blacks/shadows, then use the range mask to pull the effect off of the brightest areas. Again, doesn’t work for everything, but it can be a much faster way for general dodging/burning unevenly lit scenes than using the brush tool, as I find the brush tends to bleed too easily onto areas you don’t want it to (even with auto mask turned on). If you have some sun rays, you can also add just a touch of Dehaze under Effects and that will seperate those the highlights a little more. I usually use the Dehaze first, then go to my whites and blacks. I'll go back and forth until I find a balance that doesn't look too processed. Although sometimes that look is desired by regular viewers. I'm one of those people who prefers subtlety with atmospherics. In trying to attract "attention" we forget that there is a natural world that has its own beauty. I had a shot from a rather discoloured, smoky day in Hong Kong many years ago. I added clarity, contrast and the other tricks to improve the shot - essentially so the other side of the harbour now had visibility. Printed it. Hated it. Went back and looked at what it was saying and realised the story WAS the lack of contrast. Reprinted the image and love it. Always some kind of juggle to what an image needs: pop or mood where it being flat actually helps. Mads Peter Iversen I had similar issue with the images in this article as with the Vestrahorn post-processing (part 2.). There were no images after initial page load, I had to refresh the page. I have suspicion that it may have something to do with the before/after plugin. Same issue here. Parts of the article aren't loading in my Windows 10/Chrome. Thanks for the notice guys. Seems you're not the only ones. I'll let the technicians work on it. Is anyone else only seeing the header image and none of the other sample images Mads is referring to in this article? Disregard, seems that linking into the image from Apple news drops the content images. Re linked form Fstoppers and its fine. Great Article Mads, thanks. All this talk about making images "pop" seems to be based on editing with fancy-schmantzy software like Lightroom or Photoshop. Maybe we should focus more on how to take images that "pop" in the first place, without having to "cheat" by photoshopping them. I'm guessing by your comment that you shoot in-camera JPGs and don't process anything? No. I shoot RAW files. But I only use "Photos", the software that comes already installed on Apple computers when you buy them. Allows me to make minor adjustments, but causes me to "keep it real" because it doesn't allow me to do extreme editing. 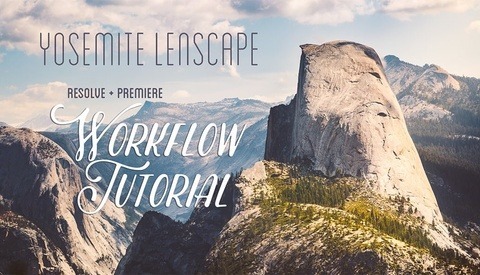 I'm afraid that if I did some of the things that you see in these Lightroom tutorials, that then the image would no longer look like the real-life scene that I took a picture of. That's a little funny considering Apple Photos has more or less the same adjustments as Lightroom, except they call it definition instead of clarity. It's not a purer form of processing. You can use LR and PS in a way that keeps your photos natural. Processed vs enhanced. In Apple's Photos, well ....it really isn't a very powerful program. You cannot do anything selectively. Any adjustments are done globally. And if you move any of the sliders very far, the image starts to look weird and fake ... so there is a real limit as to what extent you can make any adjustment. 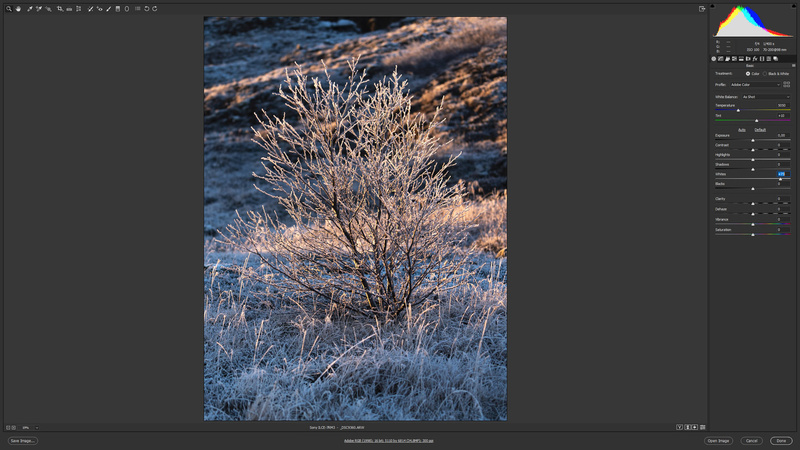 Conversely, with Lightroom you can move sliders quite a bit, and the image still looks okay. 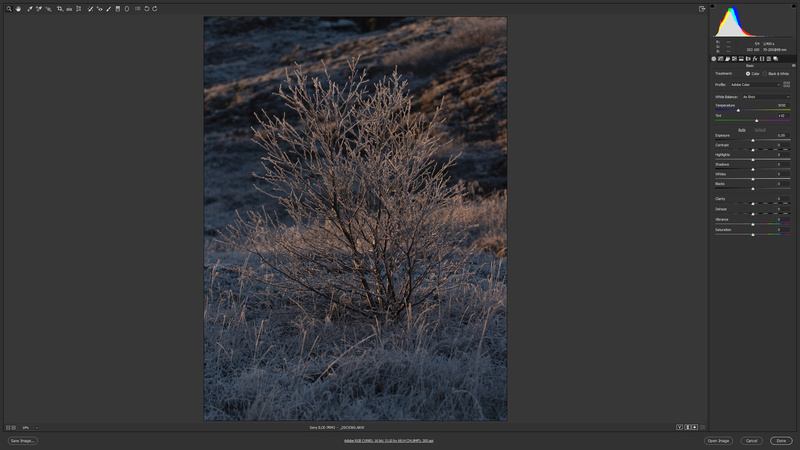 Hence, with Lightroom you can alter an image to a much greater extent than you can with Photos. Tom, I'm curious what your thoughts are on Ansel Adams? Do you like his B&W images? Yes, I do appreciate his work. Way too much hype has been made over his use of the darkroom. Yes, he dodged and burned and whatnot. But he didn't do it anywhere near so drastically as people today make it seem like he did. His edited images really did look quite similar to the unedited originals ... at least by today's standards. The extent by which today's photographers regularly alter their images FAR exceeds anything that Ansel ever did. To me, it's not really about whether one alters their images with software or not ..... rather, it is to what extent one does so. And of course this is all subjective and there are no absolutes that one can articulate about what is acceptable and what is "too far". To each his own. But I do have my own opinion on this issue, and I should not be shy about expressing it. Do you have an online gallery of your images? I'm curious to what extent you process them. I love AA's work, but IMO no way was his editing subtle. It was as far from reality as you could get from a straight exposure, processing, and printing. I wasn't trying to compare analog methods to digital, but rather the extent of what he did to create his final images. I agree that today a lot of people go too far with processing. Someone might say I go too far, compared to someone who shoots with their iPhone and posts straight to the web, but I try to keep it real and add a little of my own special sauce to the mix. If the subject is compelling enough, it shouldn't need a heaping of alteration to make it visually interesting. Yes, John, you can view my work online. So you think Ansel's work was "as far from reality as you could get ...."
If that is the case, then perhaps we should just agree to disagree. Most of his work looked like a black and white version of real nature, not some hopped-up ultra-intense version of nature. Not to say that he didn't hop it up, but he most definitely did so quite subtly, so that it still looked believable to most people. Tom, editing your photos has nothing to do with cheating. Editing photos have been done since photography was invented. There is nothing more/less pure about leaving the medium you caught your light on alone. Change that medium and everything changes or edit the first medium and you can get something similar to the second. I can just change the colour profile of the camera and I've edited the photo "in camera" instead. It's the same thing. It's all digital, it's all 0 and 1. I understand your way of looking at this. I guess that with nature photography, it comes down to one major distinction - are we trying to document nature, or are we trying to create art? 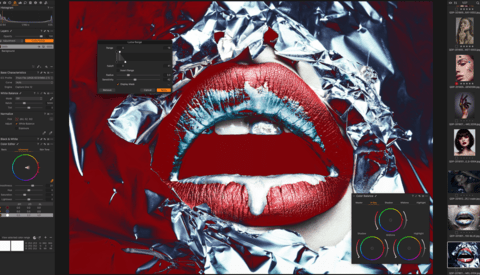 If one's goal is to create art, then using these radical editing tools would be quite helpful, and make possible what would otherwise be impossible. If ones goal is to document what they saw, then it is best not to be heavy-handed with the adjustments that one makes with editing software. Yes, correct. I make that distinction myself. I would, however, add that sometimes editing is necessary to get closer to what was "seen" by the eye. The next question is then, what eye are we talking about? I'm a bit red/green colourblind. My perception of the world and certain colours are different to others - in the end, it doesn't make sense to say who is correct. Even photojournalists can be quite heavy-handed in the editing to emphasize a certain point. 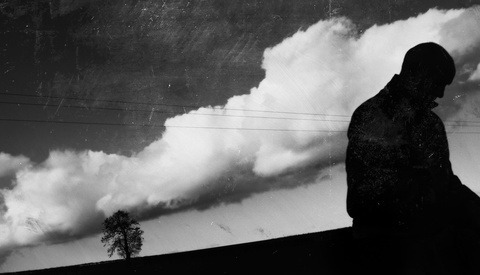 In my opinion, converting a photo to black and white is very heavy-handed, yet it is completely accepted. I am the one that "voted up" your reply. I agree that often times, some editing adjustments are necessary in order to get the image to more closely match the scene that we saw with our eyes. I think this is especially true when shooting RAW files. Our eyes have more dynamic range and greater depth perception than any sensor, so the adjustments are needed to bring things up to the level of what we observed. The danger lies in taking things too far and creating an image that far exceeds what the scene actually looked like. Using Photoshop or any editing software is not cheating. To say so limits the artist and their choice on if they wish or do not wish to process an image. To add, it will be difficult to capture an image to 'document what they saw.' A camera and/or lens will not create an image the same way a human eye viewed it. 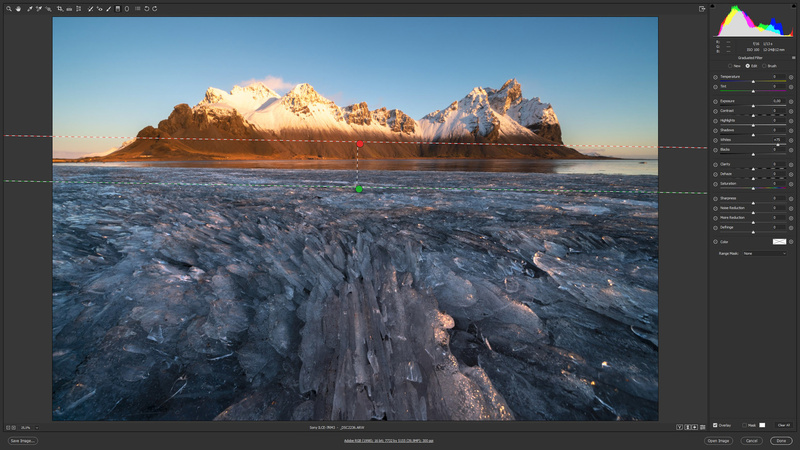 An example would be that many lenses distort the image, this is especially true for wide angle images.